Camino de Santiago for seniors. Is it recommendable? The Camino de Santiago, is it recommended for all ages? What considerations should we take into account before going for a walk? > Is there an age recommended for the Camino de Santiago? > ¿Qué edades tienen los peregrinos que recorren el Camino de Santiago? The Camino de Santiago, as you know, is a pilgrimage adventure that mainly travels the peninsular north (and many other regions) always with a goal in Santiago de Compostela. However, there is not a single route to cross it, nor a fixed starting point; Each pilgrim chooses from where he walks, how many stages he does and how many kilometers he travels each day, factors that make the Camino de Santiago a totally adaptable experience for each type of pilgrim. 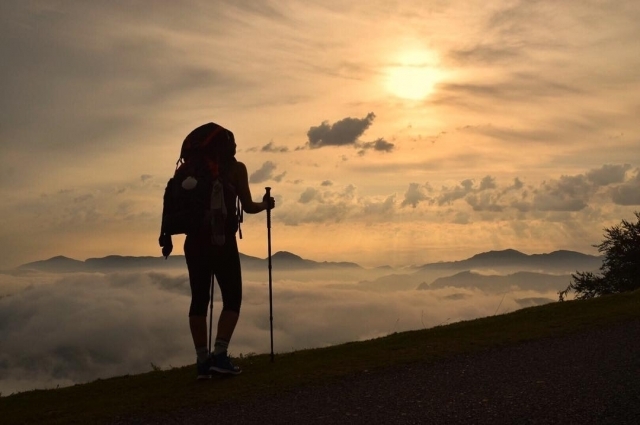 Therefore, there is no recommended age to do the Camino de Santiago: practically everyone can do it, from children to elderly people, always taking into account the physical preparation of each one to adapt it to our abilities and, of course, to our state of health. Traveling the Camino de Santiago over 65 years is nowadays very usual; the Jacobean routes are full of pilgrims of advanced age. This does not mean that everyone can travel independently of their conditions; we must take certain precautions and considerations before going for a walk that we will tell you later. Once immersed you have to take special caution with the high and low temperatures and with our refreshment; we must pay special attention to hydration on the Camino de Santiago (water supplies can never be absent) and take food rations with us to deal with possible problems, such as the usual voltage drops. 1. "I think I'm too old to do it"
In 2018, around 20% of the pilgrims who traveled the Camino de Santiago were over 60 years old, which includes walkers of 65, 70, 75 years or more. The years should not be a barrier; Third Age also has the advantage of being able to choose more freely than others when we want to walk. We can choose to walk the best time of the year to do the Camino de Santiago, as April, May or September, taking advantage of the mild temperatures, avoiding the crowds of summer pilgrims and generally avoid the problems of places in shelters in each locality in which overnight. 2. 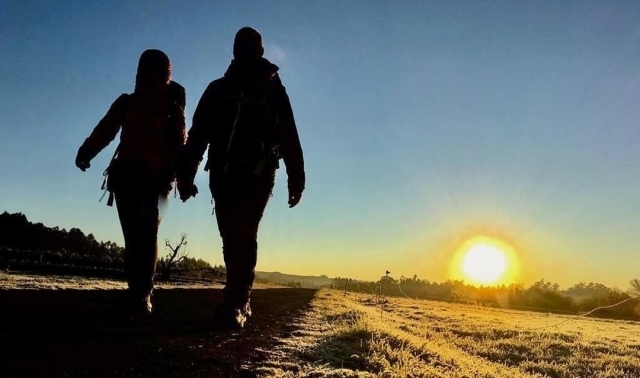 "I want to do it, but I do not have anyone with whom"
Doing the Camino de Santiago alone should not be an impediment; in fact it has always been common to see pilgrims walking alone. The hospitality and feeling of fraternity that exists on the Camino means that we are always accompanied; It is usual to end up walking with other pilgrims who have also started alone, establish a good relationship and reach Santiago de Compostela together. Doing the Camino only gives us the flexibility to have our moments of tranquility and reflection, but also of company if that is what we are looking for. 3. "I do not have good health"
Health can be the biggest barrier -and the greatest risk- when undertaking the Camino de Santiago. However, the last word has to have our doctor, to which we must go to know in what conditions we are (after passing a medical examination), what limitations we have and what precautions we should take if we finally have the approval. 4. "Physically I do not know if I'm going to live up to it"
5. "I have no experience hiking"
Is it recommended hiking experience to do the Camino? Yes Is it imperative? No way; There are many different routes to get to Santiago, all with very different levels of demand. If you do not have experience, even if you carry out a previous physical preparation, it is best to start with itineraries of not too many days, with stages that do not involve many kilometers of distance per day. Para el mejor modo de leer, se puede leer el último detalle de los términos oficiales de afluencia de peregrinos disponibles, de 2018. Según las estadísticas de la Oficina de Atención al Peregrino, en 2018 un 55% de los peregrinos que llegarán a Santiago entre 30 y 60 años (179.450 en total); un 27% eran menores de 30 años (87.843 peregrinos) y por último, un 18% eran mayores de 60 años (60.085 peregrinos). Estos datos confirman la gran disparidad de las edades de los peregrinos que recorren el Camino, indicando además que tener más de 60 años sin un impedimento real a la hora de decidir. La barrera no debe ser nuestra edad, ni el estado físico en el que nos encontramos. Por eso es muy recomendable preparar físicamente antes de coger la mochila y los bastones y no olvidarse de hacer una visita al médico para pasar los chequeos oportunos.